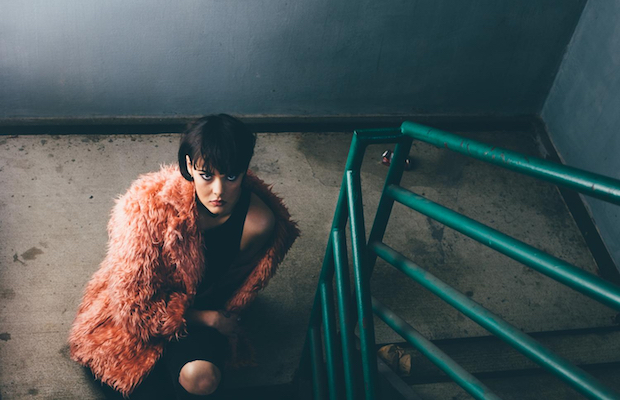 Drawing influences from a murders’ row of pop acts like Grimes, Sylvan Esso and Lorde, 7Chariot serves at the artistic vehicle for 20 year old songwriter Claire Wilkinson. “Ricochet” sounds powerful, flexing its weight over the laser-focused vocal sample, workhorse bass lines and proud trumpets. Lyrically, the themes are more vulnerable and chaotic. Wilkinson says, “‘Ricochet’ is a song about the defence mechanism your brain builds when you think the relationship you’re in is too good to be true.” As a whole, the production makes for an urgent soundtrack to the mental structures being erected around the narrator’s mind. Listen to 7Chariot’s “Ricochet” below.